CAPE CANAVERAL, Fla. — The next launch attempt for the DSCOVR mission will now be no earlier than Tuesday, Feb. 10 at 6:05 p.m. EST (2305 GMT) with a backup launch opportunity on Wednesday, Feb. 11 at 6:03 p.m. EST (2303 GMT). Weather for an attempt on Monday, Feb. 9 was deemed to be unfavorable. If an attempt was made and ultimately scrubbed for weather, the team would lose either the Tuesday or Wednesday launch opportunities due to crew rest requirements from the U.S. Air Force. 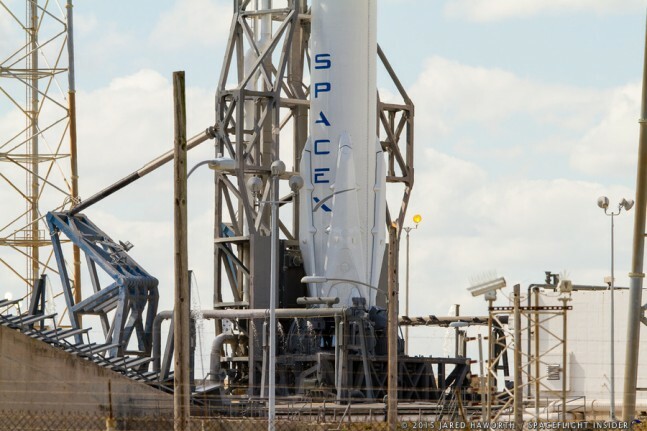 While it is not required for flight, SpaceX will leverage the extra time to replace a video transmitter on the first stage in advance of the next attempt to land the Falcon 9 v1.1’s first stage on a barge positioned some 370 miles (595 kilometers) off the coast of Jacksonville, Florida. Please replace that transmitter We all want to see the video of a beutiful 10 point landing, on the barge.